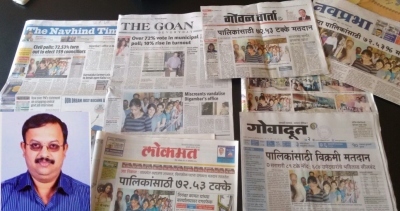 Photo-journalist Vishant Vaze, who reports for several newspapers from Bicholim and survives on freelancing sent 12 different photos to different newspapers and coincidently all the news editors selected the same pic across the languages.It was published in all the newspapers on the same day and history was made. 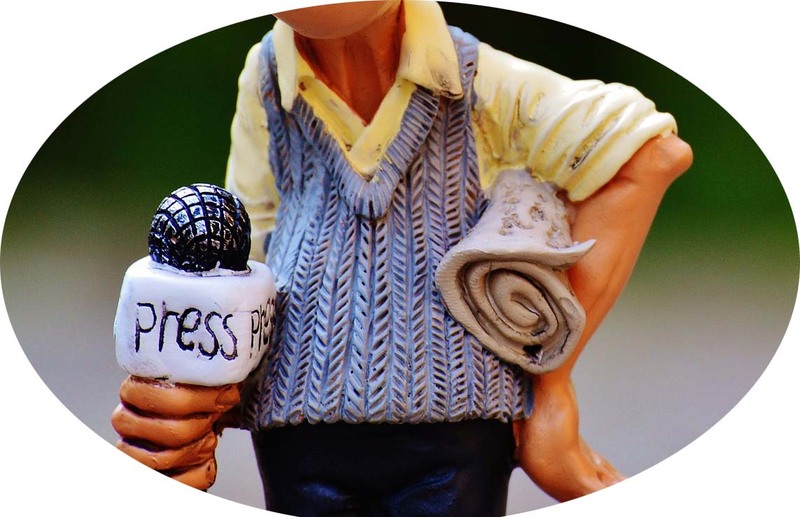 26 October 2015 was a D Day for Vishant Vaze, a freelance journalist from Bicholim. He was simply thrilled to see his one photograph making almost a headline in seven newspapers of Goa, cutting across the language barriers. May it be an English or Marathi newspaper of Goa, everybody carried the same photograph just below the headline, almost an impossible thing that happens normally in a media field. 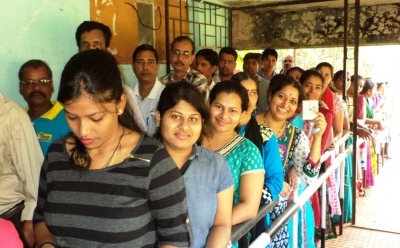 It was a photograph of young girl voters lining up in front of a polling booth for the municipal elections held in 11 municipalities of Goa on 25 September. Each reporter had not sent less than 8 to 10 different photos to their newspaper offices. Not knowing that others would also have similar aesthetic sense, the same photo was chosen from among hundreds of photos getting emailed that day from all corners of Goa. Vaze, who reports for several newspapers from Bicholim and survives on freelancing, says he had sent 12 different photos. “But this photo had a visual appeal. What we require is a catchy photo that would attract reader’s attention. The photo had that appeal”, said Paresh Prabhu, the editor of Navprabha. Vaze said he had captured it to show the younger generation participating in the election. According to Derek Almeida, editor of The Goan, the youthful enthusiasm, that too of young girls, was telling more than what reporters’ words could say. That made it a front page. Incidentally, no news editor of each newspaper knew that others would also select the same photo. But it simply happened. “It’s a dream of any photo journalist that his one photo should appear on all the newspapers on the same day. It never happens. It was accidental, but a dream come true”, says Rajtilak Naik, Goa’s ace photo journalist working for The Times of India. It was unexpected, even for Vaze. “I was surprised and obviously, then, thrilled”, he says, without realising that he has made a history in Goa’s journalism and perhaps in India’s too. Describing the aesthetic beauty of the photo, Rajtilak says the photo had everything what a good journalistic photo should normally have. That is how Rajtilak looks at it. For him, it’s a big big achievement for any photo journalist.“I am unfortunate. But I am happy a freelance journalist like Vishant Vaze could achieve it and make a history”, says Rajtilak.